One of the most fascinating aspects of our body is the existence of reflexology. By reading the reflex zones on the surface of the body we are able to discover health disturbances that may have otherwise remained hidden. Mostly these are not the spectacular and severe problems but the ones that vex us in everyday life. A pimple on the right side of the nose, an itching on the right shoulder, and a red spot at the lower right side of the rib cage are all signs of liver and gallbladder strain. If we ignore these signs and continue with a diet of fatty meat and alcohol or a lifestyle in which we experience too much anger and not enough rest, the physical symptoms will become more obvious. Eventually the pimple will disappear but muscular tensions will increase and the gallbladder will require medical treatment. 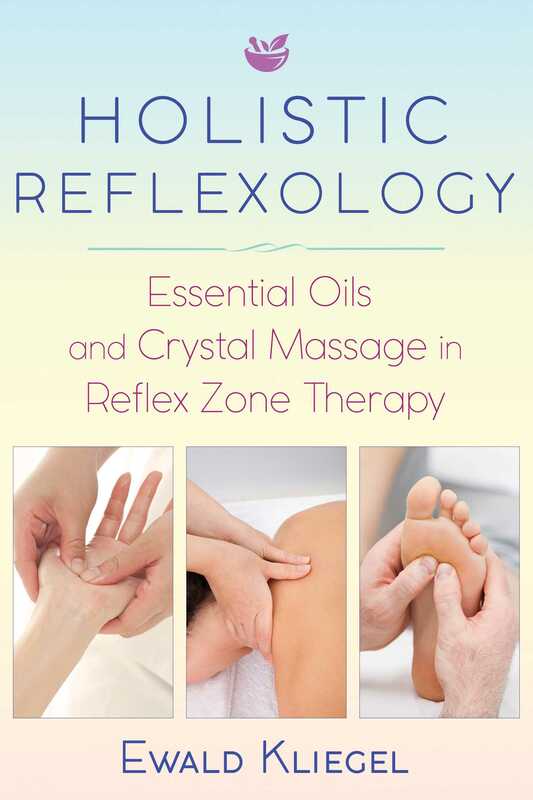 With reflexology the body’s surface is an open book of life waiting to be read. Reading means understanding. Here feelings and intuition come into play. The practice of reflexology awakens these often neglected potentials and restores them to an importance they deserve in our life. This does not mean that common sense is disregarded. In fact, our analytical minds are key in sorting our perceptions and findings in order to give our treatments useful structure and direction. This holistic approach, using both heart and brain, opens new dimensions of treatment. Recent research by German physicist and brain researcher Guenther Haffelder reveals that the left, more analytical half of the brain has a processing speed of about 20,000 bits per second in a sequential mode. The other half, which is responsible for our feelings and intuition, processes our life's data at a speed of 60,000,000,000 bits per second in a parallel mode. It’s always interesting to see how left-brained and right-brained people find common ground and mutual respect in reflexology. Intuitive people discover that it takes a lot of systematic reasoning to practice reflexology, and rationalists discover a world that as a whole is not rationally explicable: life itself. Reflexology shows very tangibly and impressively that we are holistic creatures and every attempt to separate parts from each other causes problems. The head is connected to the toes and it gives them orders via the nerves. By producing insulin the pancreas reaches cells on the tip of the nose and the ends of the little toes. With reflexology it also becomes clear that there is a coherence between body, mind, and spirit. When we are excited we feel it all over. Even our hair takes on a greater shine. When in a depressive mood our state of mind is clearly visible in our posture and appearance. Every part of us as humans is interdependent on every other part. Thus any disturbance within will have an effect on the whole body, and here our skin comes into play. Reflexology allows us to observe on the outside what is happening on the inside. It is like a map of human nature. Now the mysterious red spot at the shoulder has meaning; we can interpret it as dysfunction of the gallbladder. With holistic reflexology we are able to consciously recognize these signs in ourselves and in others. This skull reflexology system is a closed system that the Austrian physician Hans Zeitler introduced in 1978 in his acupuncture practice. The most common indications for the use of the cranial reflex zones are to aid in recovery from stroke and other brain trauma that has limited a person’s ability to move. Gentle massage of these zones on a regular basis can greatly support other treatments. I have seen improvements even two years after a stroke when the medical guidelines say progress can no longer be expected. The skull zones are also indicated for problems of blood supply. Self-massage of the skull zones can be a great help to those who suffer from cold hands or feet. Just a little one- or two minute massage at these points generates a warmer feeling in the affected limbs. Skull massage can also have a soothing effect for pain in the hands from chronic rheumatic diseases. For Parkinson's disease, while massage does not have a great effect, medical acupuncture on the skull zones brings much improvement. A rather unusual application concerns musicians. Regular massage of the skull zones for the head and the hands can be used for greater virtuosity. Whereas for acupuncture treatments it is necessary to target the specific zone as shown in the four stripes on the diagram above, for massage it is even better to treat the whole skull area. If you find a point that is uncomfortable to the touch, remain there longer and adjust the intensity of the massage to just below the level of pain. Finally, next time you are at the hairdresser’s, you can be even more appreciative of the attention given to your head. Even if they don't know it, hairdressers’ extensive scalp massages have a thoroughly beneficial effect on a person’s well-being.